Most cabinets sold today are backed by a "limited" lifetime warranty that is intended to make the homeowner purchasing them feel secure that they are buying a quality product. Statistics show that most Americans live in a home for an average of 7 years. As soon as the original purchaser moves out of the house, the cabinet warranty is then void. This also means that when someone buys a house the cabinets may look like new but they have absolutely no warranty. There aren't very many cabinet companies that install their own cabinets and there is a very important reason for this. If the cabinets are installed incorrectly the warranty is void. The first thing a lot of cabinet companies try to do is push the blame of any cabinet failure onto the installer. Of course, the installer is going to blame to the manufacturer. If the installer is out of business the cost of replacemnet usually falls onto the homeowner. If it can be proven to be a manufacturing error, they simply send a replacement cabinet or door, which leaves the homeowner with an additional expense for reinstalling the damaged part. The reality is that, often, the homeowner ends up in the middle of a disagreement between the cabinet manufacturer, kitchen designer or contractor, and cabinet installer. Regardless of who ultimately accepts responsibility the homeowner has typically gone through months of headache and stress over something that could have been avoided from the start. At Wooden Concepts we have made this easy for all parties involved. 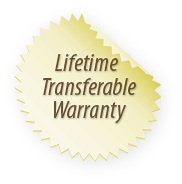 Our warranty is provided directly to the homeowner, regardless of who makes the original purchase. When we build a project it is built for life. We are not gambling that you will sell your home before a problem arises because our cabinets are built to avoid problems ever happening. We are so confident in our cabinet construction that we transfer the warranty from the original homeowner to the new homeowner in the event that the home is sold. Our cabinets are installed by the same craftsmen that built them and the same pride is taken in the installation of a project as in building it. This process eliminates potential disagreement between any parties involved in the process. If we should ever receive a call that any part of our cabinets have failed we will be responsible for correcting the issue, from start to finish. Our warranty is for the structural integrity of all of our cabinet parts. It is not limited to finished ends, frames, doors, etc. 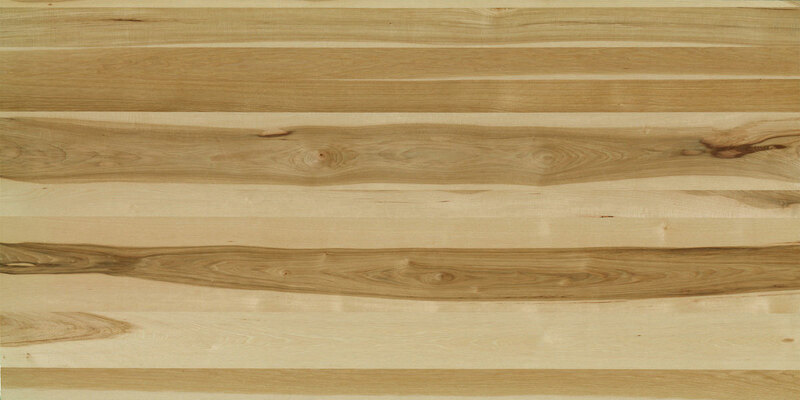 The only part of our cabinets that are not under warranty is the finish, due to normal wear and tear. We cannot warranty scratches and dents because these are impossible for us to control. We take great pride in our craftsmanship and have worked diligently to find and use only those materials that have been designed with the same scrutiny we subject our cabinets to. Our cabinets are not built in a factory, we don't have an assembly line or employ a large staff. Instead, our master craftsman, who also happens to own the company, builds each of our projects. He handles your job from start to finish, bringing in helpers from time to time with the simpler aspects of your cabinets; lifting, sanding, etc. This ensures the homeowner that no detail is overlooked throughout the entire process. Our cabinet boxes are constructed from the best grade plywood made in America and all parts of our cabinets are interlocking, making an incredibly sturdy piece of furniture second to none in the industry. Because dowels have the potential of pulling apart over time we forgo them, preferring to use a pocket screws. We glue our frames together before any finish is applied. This does add time to the sanding and finishing process, but allows us to warranty our frames for life. We attach our frames with a 3-step process which ensures that, once they are joined, the frames will never separate from the cabinet boxes. Our base cabinets are built with full piece tops instead of using corner brackets or side runners. This makes the base cabinets much stronger and they are able to handle the weight of the heavier granite countertops with ease. Our bottoms and tops are also dadoed into the sides and back of the cabinets, as well as the frames, to ensure complete rigidity for any amount of weight that will be added by heavy china. Our shelves are all 3/4" thick and we use solid wood edgebanding which eliminates any potential problems with the front of the shelves peeling off. We blanket wrap and deliver our cabinets personally, we do not ship it with a common freight company and fly our installer to your location. The same craftsman that built your cabinet project packages each individual cabinet and secures it for transport. Having handled each step in the process, he knows exactly how each piece was built and how it is best transported. 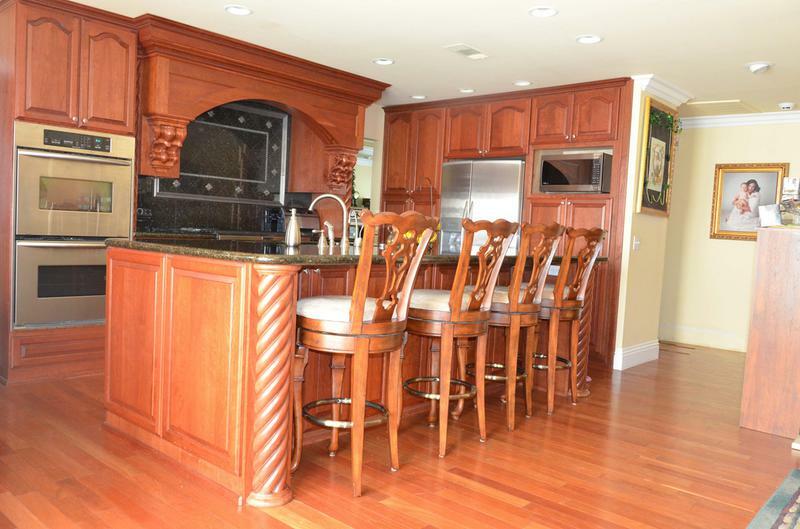 Your cabinets are then delivered and installed by the same craftsman. We coordinate with your designer or countertop contractor to ensure that the countertop installation is scheduled immediately after cabinets. Being on site for countertop installation is crucial for us to ensure that the structural integrity of your cabinets is maintained throughout the process. Our ultimate goal is to give you the kitchen of your dreams and while making the entire experience effortless for the homeowner. By handling your cabinets every single step of the way and working with other contractors throughout the entire process, we can guarantee our cabinets for life without question. We have a level of pride in what we build that cannot possibly be matched in the industry without taking the same steps and precautions that we do. 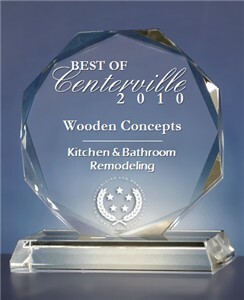 Copyright 2002 Wooden Concepts: Custom Cabinets and Kitchen Design. All Rights Reserved.